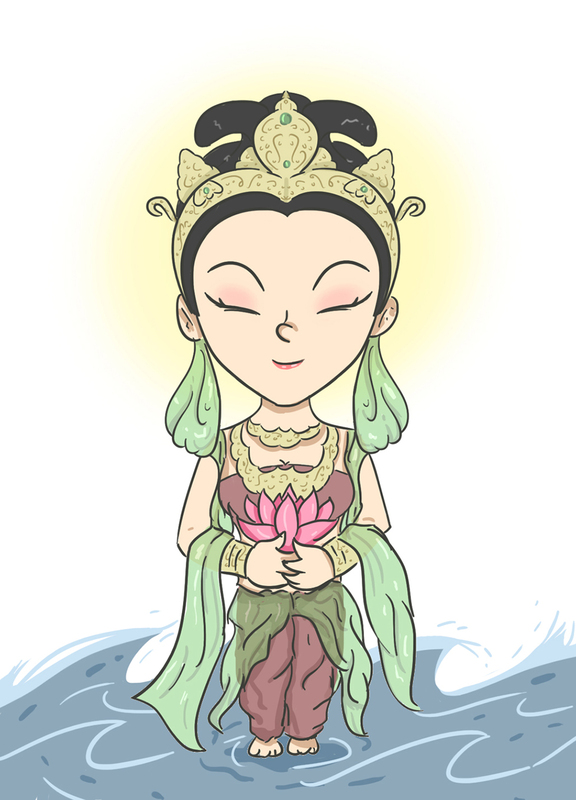 QuanYin would sit and listen to the ocean flow in and out. Absorbed in the sound of the waves and the silence they left behind, she let go of all thoughts. Without thought these sounds were just vibrations so she became perfectly still. In this stillness she moved toward Enlightenment. As she transcended other types of thought she came to see that all living things are one. This understanding caused her to feel compassion for all beings whom she heard as “crying out” for her. Such immense love compelled her to move her life toward service of others. Her acts of compassion led people to build statues of this beautiful woman–most with her feet in the waves. The sounds around us can spark and drive thought; these thoughts drive the choices and reactions that create the world around us. We also have the choice to remain at peace and be silent. QuanYin would encourage us to see all the sounds of our world as lessons in stillness. It is not the sounds that are a problem–for her the ocean and its susurrations were the ultimate teacher. If stillness is the goal, her example shows us how to use the sounds of the world as gifts and guides to find it. Rather than demanding the world stop being noisy, get your feet wet and embrace the vibrations as the loving assistance you may need.